The Maryknoll Speakers Series introduces people of all faiths to the most prominent authors, theologians and experts who interpret religious history, contemporary issues and the changing world. All religious denominations and people from all walks of life are invited to listen, question, participate and share their personal views, opinions and experiences with our speakers. Held at the historic property of the Maryknoll Fathers and Brothers. 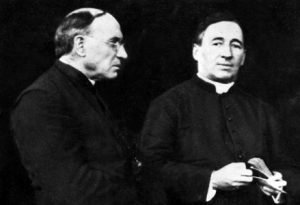 On April 15, 2018 — Dr. Joseph Fahey, presented “Charles Liteky’s Pilgrimage to Peace.” Dr. Fahey talked about the fascinating and challenging story of Charles Liteky, who had the courage to change and to embrace the Gospel of Peace. View Maps and Directions to make your way to this event! We request that you make reservations to ensure that you will have a seat at the events. 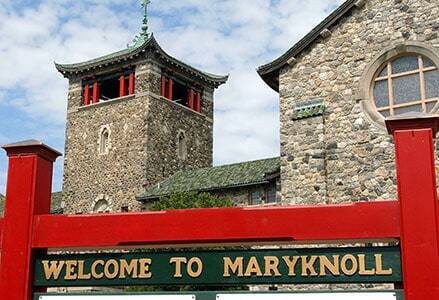 Please Email MaryknollSpeakersSeries@Maryknoll.org or call 914.941.7636 ext 2445. • Father Jim Martin, S.J., the “chaplain” of The Colbert Show. • Sister Helen Prejean, anti-capital punishment activist and author of Dead Man Walking. • Father Joseph Girzone, The New York Times best-selling author popular for The Joshua Series. • Mary Karr, award-winning author of the best-selling books The Liars’ Club and Lit: A Memoir. • Malachy McCourt, author of The New York Times best-selling memoir A Monk Swimming. • Harold Holzer, one of the country’s leading authorities on Abraham Lincoln. You can view videos of past speakers at our videos page.